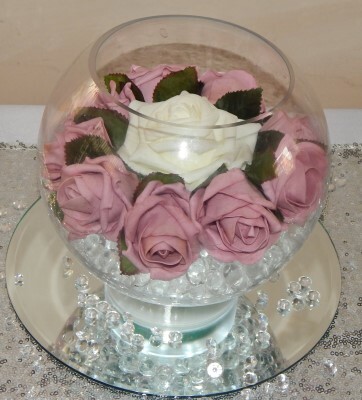 We can supply for hire a wide range of table centrepieces personalised to your requirements. All of our centrepieces include a mirror plate or log slice. To give you some ideas we have shown some examples. Mirror Plate or Log Slice. Submersible Light, Light Base or Candle. This is just an example, please contact us to discuss your personal requirements. Light Base or 4 T. Lights. Floating Candles in a Bowl. Gel Balls or Glass Pebbles. Silk Flowers or Hanging Glass Balls. Hanging Crystals or Pearl Garland. 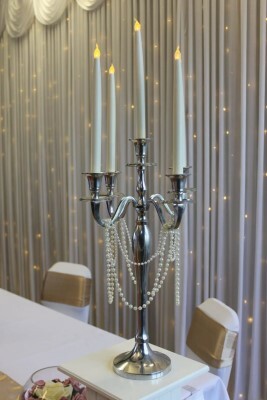 Silver Coloured 50cm 5 Arm Candelabra. 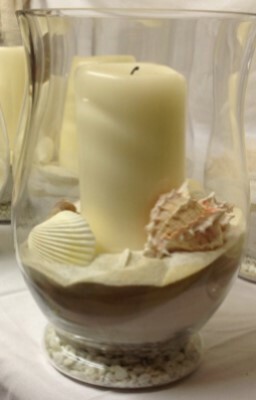 Wax Candles or LED Candles..
For a Small Charge we can add Flowers or Other Decorations. Silk Flowers, Ivy or Foliage. Wax Candle, LED Pillar Candle or Fairy Lights. Submersible Light, Floating Candle or Light Base. 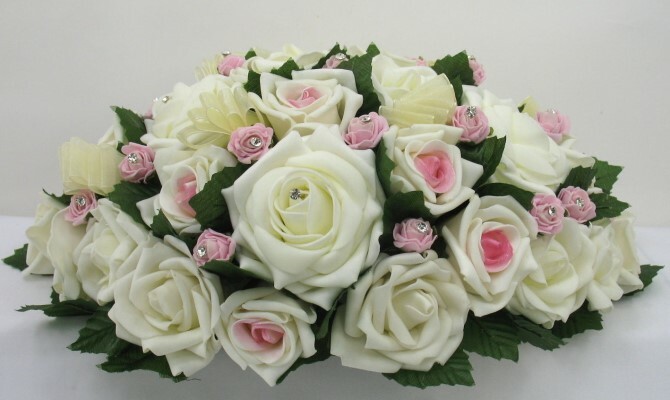 Silk Flowers, Decorations or Floating Candles. Submersible Light, Light Base or 4 T. Lights. 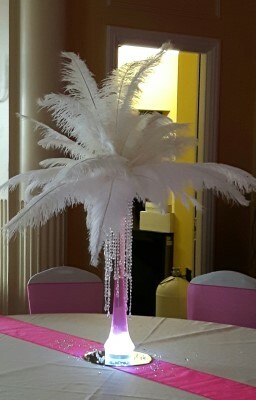 Tall Vase with Ostrich Feathers. Long Glass Vase filled with Water or Sand. 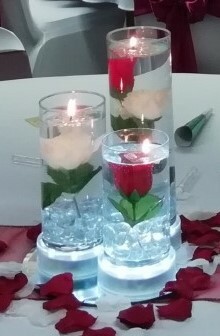 Submersible Light or Floating Candles. Our lovely silk flower arrangement’s can be used on the top table - ceremony table - window sill on a or fire place. They can be made in any colour or size. 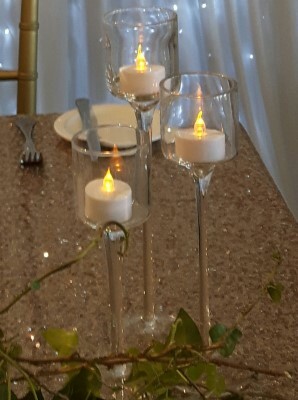 Set of 3 Tall Glass T.Light Holders. Set of 3 Tall Glass T.Light Holders 20cm - 23cm -26cm Tall. Comes with Wax or Battery T.Lights.